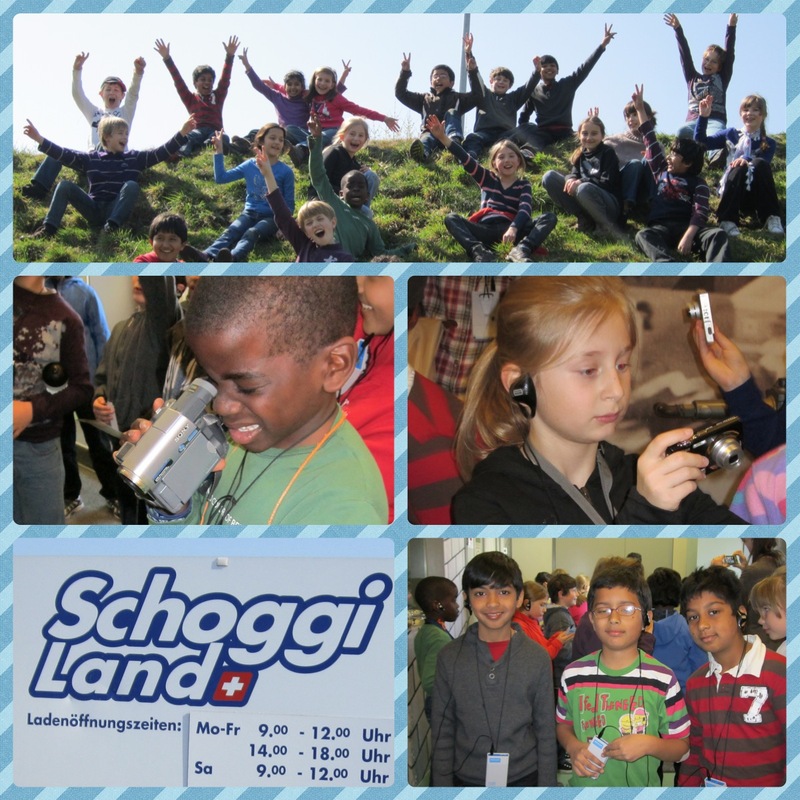 Last Thursday we went on an adventure (that’s what we call field trips) to Schoggiland in Flawil, Switzerland. 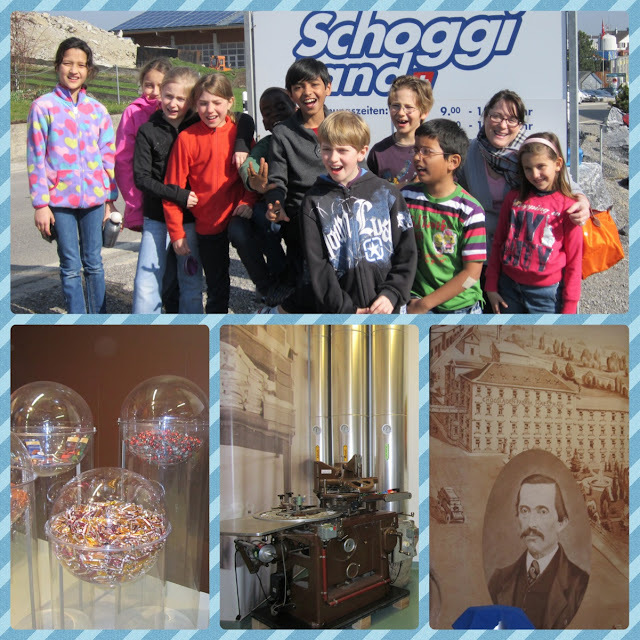 Schoggiland is at the Maestrani Chocolate Factory. We have been studying Technology and how it has changed the world. This trip was to give the kids an inside look at how technology changed the process of chocolate manufacturing and distribution. It was a huge success and the best part of all (besides all that the kids learned of course) was the free chocolate samples. Oh the chocolaty goodness!! !